Getting hands - on as a class in the natural environment is one of the keys to learning respect for the world around us and can also introduce a greater sense of belonging and of self esteem. Pupils will be guided by our Forest School trained leaders through some classic bush craft tasks which may include shelter building, fire lighting, tracking and craft activities such as chalk carving and clay tree spirits. Where possible our shelter will be our beautiful woodland classroom and the woods themselves. Suitable for all KS2 learners we can only work with one class during the day to ensure that pupils get the most from their experience. The smaller the group the more focused the activities can be. There are opportunities for pupils to develop their group skills and their individual skills. We can also work with small groups over a longer period of time. Many of the ‘Learning Outside the Classroom’ expectations are met during the Forest Skills day. Focused practical tasks cover a broad range of design technology, science, history and art topics and can be adapted to suit the school’s needs. ​Forest Skills can act as an introduction to a full Forest School programme and will work well for visits where hands on woodland activities and outdoor study are the main focus of the trip. 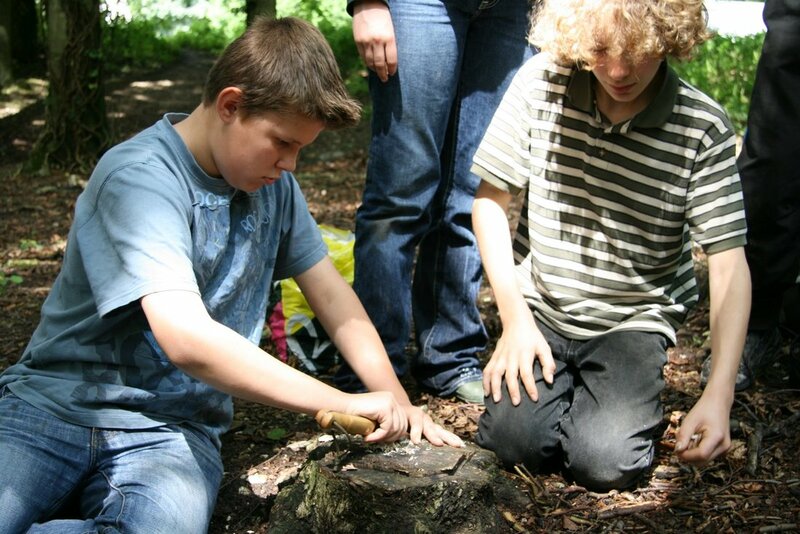 For further information go to the Forest Schools Page of our website.